Today’s theme was called “Limud – In More Ways than One,” and we did. Today was a day of learning for the mind, heart and soul. We began the day with Gil Cohen of the Ministry of Finance who taught us about the success of Israel’s economy and the enormous place that Bonds holds in that picture of success. Our purpose now is to increase the numbers of purchasers of Bonds. When we return, you will hear more about our goal; but meanwhile, consider making all of your birth, b’nai mitzvah and engagement gifts in the form of an Israel Bond. Call the Rockland Bonds office or check out www.israelbonds.com. Rabbi Scheff gave a passionate Bonds appeal in a moving manner that would surprise no one reading this blog who has heard him speak about Israel as the center of our identity as a people, a nation, and a religion. 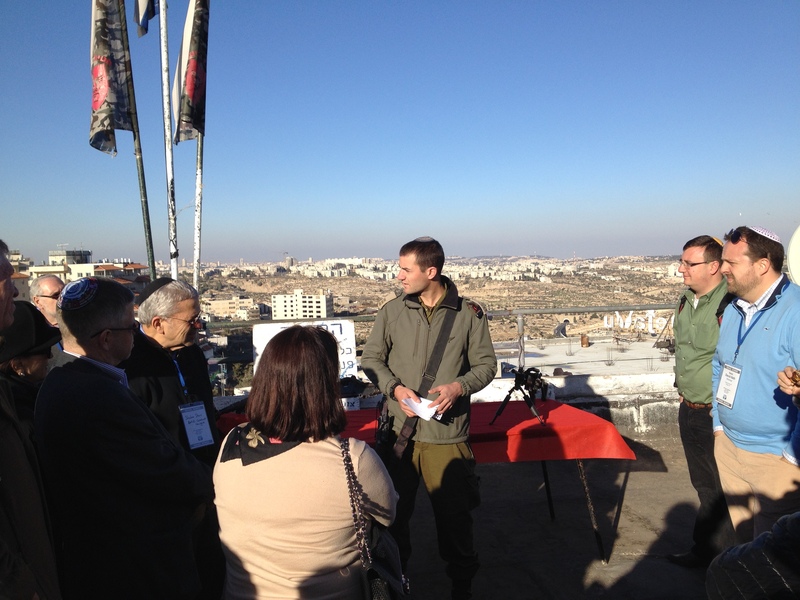 We met with young soldiers at a post of the IDF Kfir Brigade, deployed in Gush Etzion for counter-terrror operations. 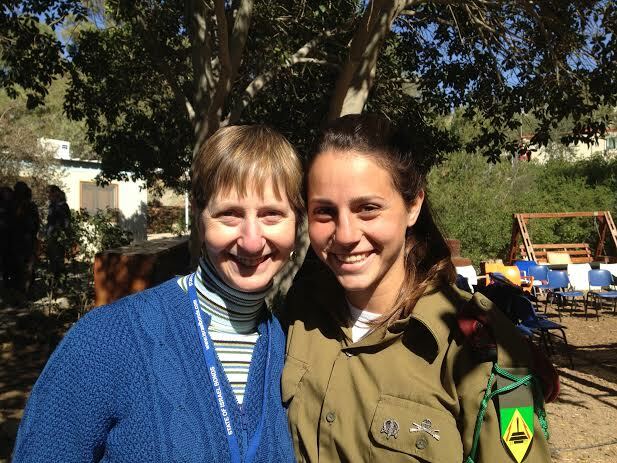 I had the blessing of my own IDF soldier accompanying us for the day as Sarah was released from her base to spend time with me. The rabbis on our mission were proud to meet her and interested in her story. Earlier tonight at dinner, Rabbi Scheff was honored and discharged from his role as Chair of the Rabbinic Cabinet. I was asked to speak about him and told those gathered what we at the Orangetown Jewish Center (and our many friends attached through this blog) already know: the Jewish people, the state of Israel and Judaism itself are all a bit stronger thanks to his unflagging support. I felt proud on all of your behalf to hear rabbis from across the U.S. and Canada as well as Bonds staff from Israel speak about Rabbi Scheff as a role model and teacher. It was a proud night for the OJC!